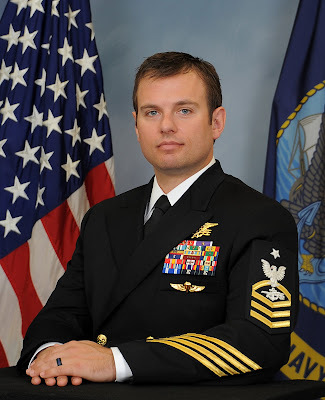 WASHINGTON, March 1, 2016 — When President Barack Obama presented the Medal of Honor to Navy Senior Chief Petty Officer Edward C. Byers Jr. at the White House yesterday, he said Byers could be defined by his deep sense of humility and as someone who doesn’t seek the spotlight. Being a Navy SEAL and doing what he loves “is truly the best job in the world,” he said. But there was someone else the softly spoken Byers wanted to acknowledge: his teammate and fellow Navy SEAL, Petty Officer 1st Class Nicolas Checque, who was the rescue operation’s team leader. Checque was mortally wounded in the ensuing Taliban attack that cold night in a remote building on an Afghanistan mountain, and he died of his injuries shortly after the successful rescue was complete. Byers told reporters he doesn’t know how long, or even how, receiving the Medal of Honor will change his life. He plans to take it one step at a time, he added.